The sciatic nerve is a large nerve that extends from the spinal cord’s lower end and branches out to each buttock and then down each thigh to the knee and calf. Sciatica refers to pain that follows the path of the sciatica nerve. It can be an intensely painful condition that makes sleeping and other activities very difficult. There are steps everyone can take to prevent sciatica. 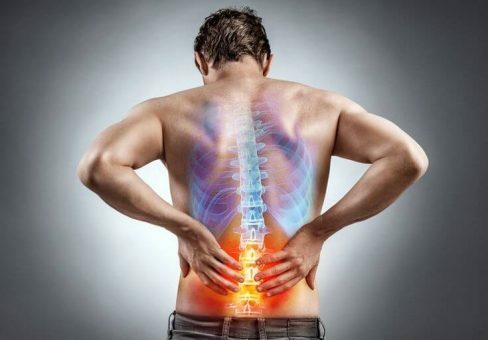 Sciatica develops for various reasons that include a herniated disk, spinal stenosis, inflammation due to a disease like arthritis and bone spurs on the spine. The pain associated with sciatica is often severe because the sciatic nerve is the largest nerve in the body. Pain usually radiates down one buttock and into one thigh and calf. Besides pain, other symptoms include numbness or weakness in a leg muscle, knee pain, muscle tingling, muscle cramping, tingling in the toes or a combination of two or more symptoms. A common question is: How to prevent sciatica? Exercise – Exercising tops the list of prevention measures because it strengthens the abdomen and back muscles that support the spine. Numerous types of exercises are beneficial, including walking, swimming, Pilates and yoga. In particular, do core exercises and lower back exercises to reduce the chances of developing a herniated disk. Learn and practice proper lifting techniques – All too often, people improperly lift objects. It is not just the weight of something that leads to herniated disks. They put most of the pressure on their back during lifting when it’s the hips and legs that should be taking the brunt of the weight. It is important to keep the back straight while rising up with the hips and legs. If the item is too heavy to lift while using the right technique, find another way to move the item. Maintain good posture when sitting – Many people today sit for long periods of time and have poor posture while sitting. This doubles the impact on the spine, especially the lower back. When sitting or standing, keep your back straight and shoulders back to relieve the pressure on the back. Another good practice is to stand up and move around every 30 minutes when a job requires a lot of sitting. Do not smoke – The negative effects of smoking are many, and include contributing to disk degeneration. Sciatic develops for different reasons, and one is age-related degeneration. Developing a healthy lifestyle is the best way to prevent painful conditions that makes it impossible to fully enjoy life. Sometimes, despite everything, people experience what is referred to as a sciatica flare up. It can be due to something like the piriformis, a small hip muscle, becoming tight and pressing on or pinching the sciatic nerve. Flare ups can also be treated with exercises that are specifically designed to relieve the pressure on the nerve. Good exercises for managing sciatica flare-ups that also serve as exercises to prevent sciatica are activities like stretching exercises for the hips and lower back, and walking. It may be tempting to lie in bed for hours, hoping the pain will subside. The reality is that extended bed rest can contribute to the development of sciatica when back muscles weaken or because the pain associated with sciatica to worsen due to the pressure placed on the spine. Of course, everyone should get seven to eight hours of sleep each night. As noted, sciatica pain can intensify when in a prone position for an extended length of time because additional pressure is placed on the spine’s disks. People want to know how to prevent sciatica pain while sleeping. One strategy is to lie flat on the back and bend the knees slightly while keeping the buttocks and heels flat against the bed. Place a pillow under the knees to provide support. Elevating the knees can take some of the pressure off the spine and thus the sciatica nerve. A medical professional can offer suggestions on how to prevent sciatica pain while sleeping that best fit the patient’s circumstances. Despite all efforts to prevent or self-manage sciatica, additional treatments are sometimes necessary. A doctor will assess the condition and determine the appropriate treatments to add to the self-management regimen. Treatments include prescription pain medications, physical therapy and steroid injections. Surgery is always a last resort for people with sciatica pain that worsens or pain that does not respond to non-surgical treatments.